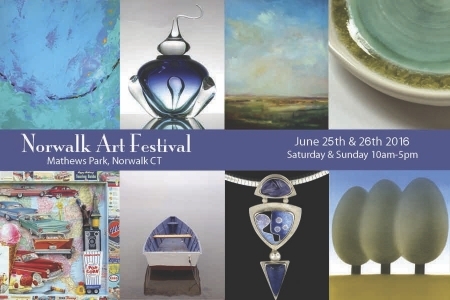 More than 125 artisans showing one-of-a-kind ceramics, paintings, jewelry, photography and other fine arts and crafts will be featured at the 4th Annual Norwalk Art Festival. Juried exhibitors specializing in wood, wearable and decorative fiber, photography, metalwork, sculpture, mixed media, glass, ceramics and jewelry will share their unique talents and artwork at this nationally recognized event held in Mathews Park surrounding the Lockwood-Mathews Museum on West Avenue in Norwalk, Connecticut. All pieces exhibited will be available for purchase. 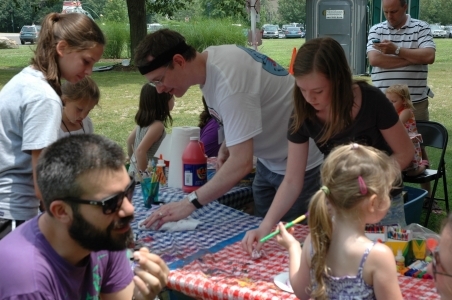 The Norwalk Art Festival includes fun, educational activities for children and an international food court. Live music performances will be provided throughout the weekend by various musicians including Norwalk’s own Edward Wright, Annalisa Ewald, Sarah Golley and a featured recital by Rebecca Christopherson’s TESS and Suzuki students on Saturday at 12:30 pm when the Mayor will officially open the Norwalk Art Festival with the first brush stroke of paint on a large community mural project. 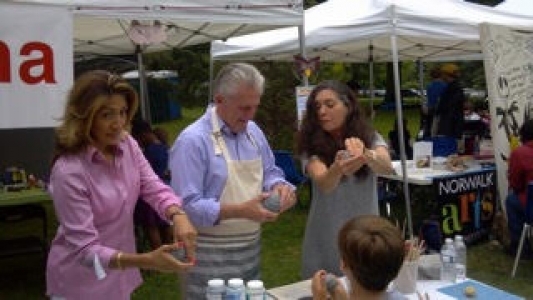 Hands-on art activities for all ages are offered free of charge in the Children’s Art Workshop area provided by Jerry’s Artarama and the Norwalk Arts Commission. The Lockwood Mathews Mansion Museum will offer mini-tours and the Center for Contemporary Printmaking (CCP) galleries will be open, where the annual “Foot Prints” exhibit is currently on view, as will Stepping Stones Museum for Children. 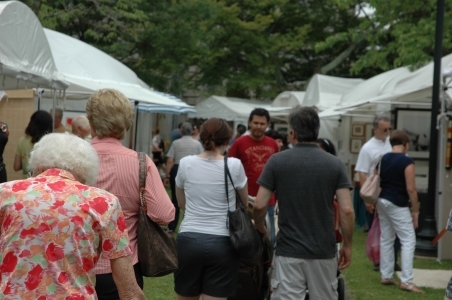 Admission to the Norwalk Art Festival is free. Patrons will have an opportunity to visit the museums and CCP as well as the playground and take a self-guided tour of the historic Pine Island Cemetery. There is a separate admission entry to the museums. At the Festival entrance, patrons will be able to join CCP and the museums at a discount, and additional savings will be available at the Festival and in the museum stores. Mathews Park is located at 295 West Avenue and is easily reached off exits 14N and 15S off I-95. The Park is a short walk or shuttle ride from the Metro-North Railroad South Norwalk station. Parking is free in Mathews Park and across the street. There is also parking available in the South Norwalk garages, from which visitors can take the beautiful river front stroll to the park. For additional information, visit the website or call (518) 852-6478.